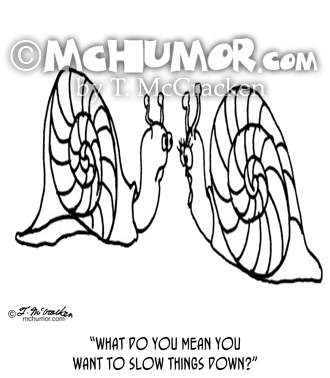 Snail Cartoon 5405: A snail says to another, "What do you mean you want to slow things down?" 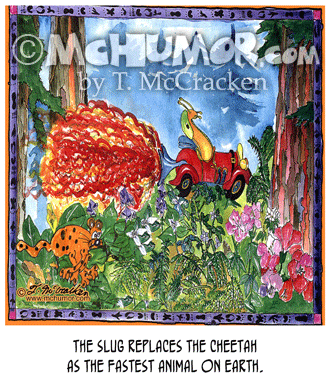 Slug Cartoon 8015: "The Slug Replaces the Cheetah as the Fastest Animal on Earth." 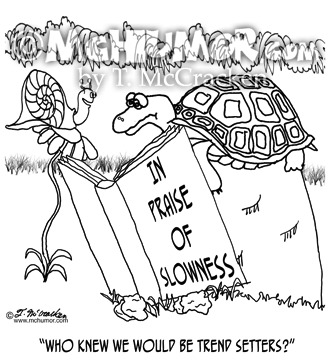 A slug in a sports car races in the woods. 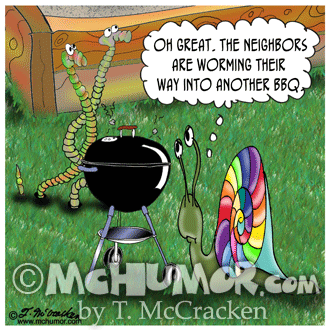 Trailer Cartoon 8738: "Who you don't want to get stuck behind in summer traffic." 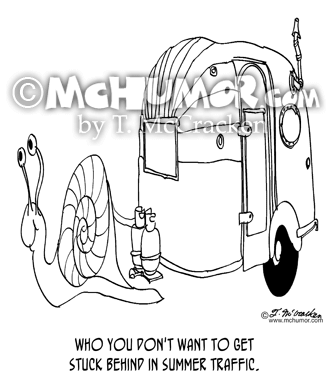 A snail tows a trailer. 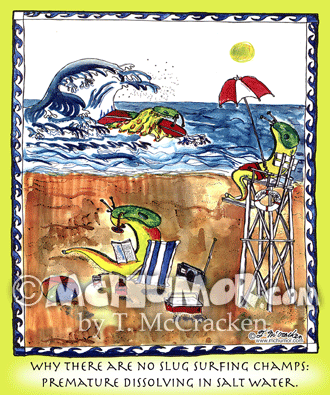 Slug Cartoon 8016V: "Why there are no Slug Surfing Champs: Premature Dissolving in Salt Water." 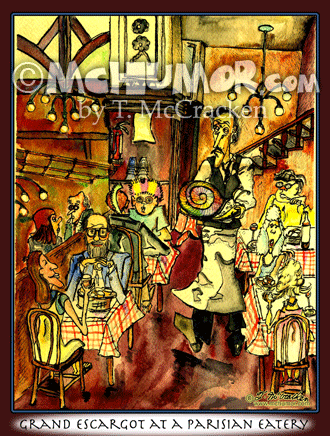 Snail Cartoon 8201: “Grand Escargot at a Parisian Eatery.” On a platter a French waiter serves a humongous snail. 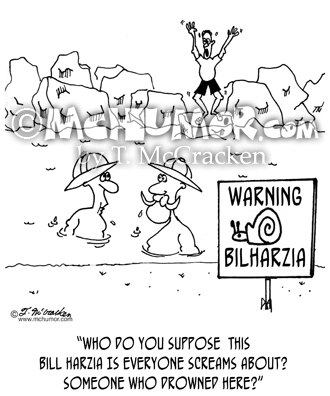 Disease Cartoon 4558: As someone yells on shore an explorer swimming in a lake with a sign "Warning Bilharzia" says, "Who do you suppose this Bill Harzia is that everyone screams about? Someone who drowned here?"